Mt. 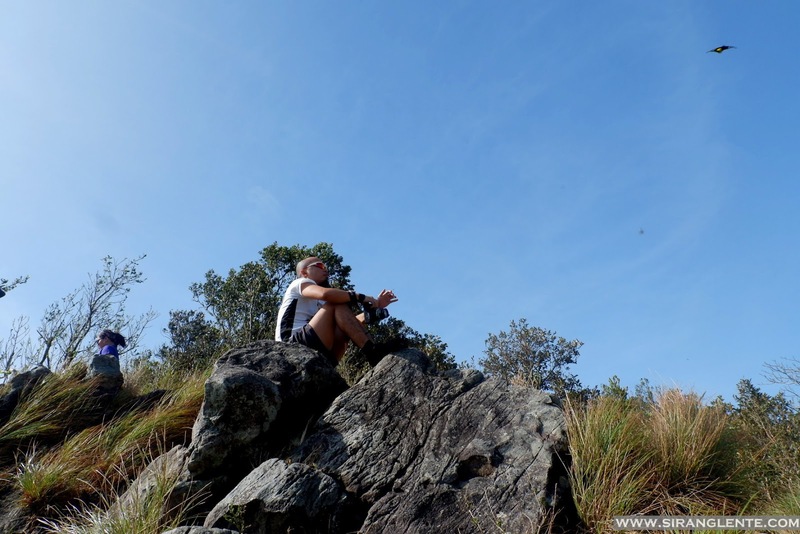 Tarak is one of the top destinations in Bataan for hikers. This mountain has a good combination of breathtaking beauty, an elegant skyline, a cool and temperate weather and abundant with flora and fauna. By the way, my first walk on its trails was on September 2012, click here for our journey; after five years, I am here again. Our journey is totally different because last time, it was wet season and this time is super dry. Before, Mt. Tarak was in debate if its a major or a minor climb. 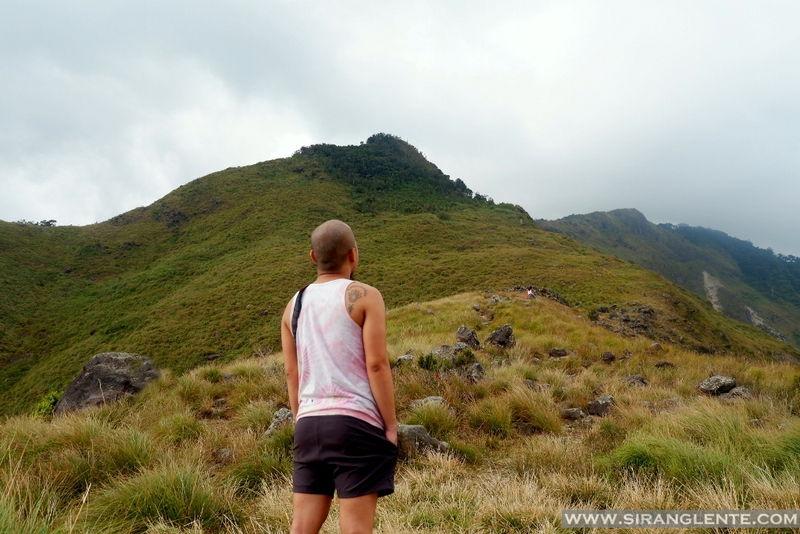 Regardless of its difficulty, we can't hide the fact that it is one of the most visited mountains in Bataan because it possesses an amazing beauty and provides a remarkable hiking experience. We met in Five Star terminal, on EDSA northbound, but rode on a Bataan Transit Bus to Alas-asin, Mariveles, Bataan. Travel time is within 3-4 hours. Upon getting off the bus, I easily felt the cold wind blowing and the ambiance in the area was so relaxing. Had our breakfast at the carinderia by the highway, bought supplies, registered at the Barangay hall, and started ascending. First part was walking on the concrete road, passing by the residential houses. Then, un-cemented road to Nanay Kurding's house, with trees, plants and grasses on the side. The cold wind still blowing, with an emo sound track playing. "Bakit nga ba lahat nalang ang cold. 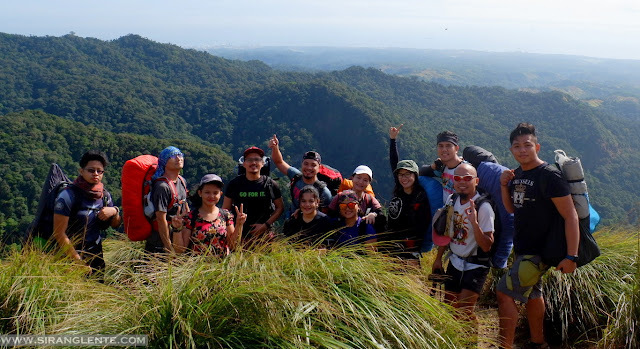 Haaayyyssss" Nanay Kurding and her house is very prominent to hikers; this is where another registration is conducted. After Nanay Kurding's house is the start of the actual ascent. The trail is ascending, it's clear and orange trail marks hanging are visible. The terrain is composed of stones, boulders, grass, vines, trees and dust. The trail is covered with hardwood trees and vines that made our hiking experience relaxing and while the fresh air blows - just for this part. Another part would be an uphill where the tall brown grasses are on the trail sides. Next is a gradual trail to Papaya river and still has forested mountain trails. We arrived at Papaya River at 10:30AM. The face of Papaya is totally different during my first hike. 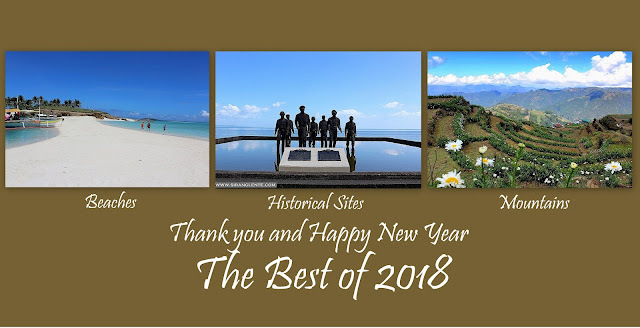 Nonetheless, the area still has a relaxing ambiance, surrounded by trees and plants, the cool and fresh air still blowing with the beat of the splashing water on the background. Please note that this river is a common rest area and water source before the assault trail to the ridge and the summit. While the open spaces by the river serve as the campsite for those who prefers unli water. We stayed by the river for almost an hour and continued ascending; the next part is the hardest part. This involves terrain with woodlands, an assault or steep trails; photo above will explain. Honestly, it was challenging, with full pack backpack on my back, holding a container filled with 3 liters water, and my canon DSLR camera on sling. Akala ko kaya ko mag-isa, pero kailangan ko parin palang dumipende sa mga ugat at sanga ng puno para hindi ma-fall. Ayoko na ulit ma-fall, last time na-na-fall ako, nasaktan ako ng sobra. Sabi nga ng tarsier, kapit lang besh, matatapos din ang hirap na ito. At 1:27PM, I finally stepped on the part with open space and has stunning view of Bataan. Rested for twenty minutes while taking photos of the ridge and the emerald seas from afar. The cold wind from the ocean never stops blowing that creates a relaxing sensation. With the magnificent view, I felt lazy and just wanted to take a nap but it didn't happen since we were aiming for the availability of the mini-forest as our camp site. 5PM, started preparing for dinner, then, followed by photo ops with the golden sunset. The temperature was still decreasing and the sound of wind blowing the leaves and branches was like a wave by the shore. DINNER TIME and the most awaited part - The Socials. Remarkable part was playing The Bobo Game. Category: Anything na maitim o madilim sa isang tao. Mga kakatuwang mga sagot: kili-kili, tuhod, buhok, maitin na budhi at syempre mawawala ba ang aking: "Madilim na Kahapon." LIGHTS OFF at 11PM. The next day is another day! My body clock woke me up at 3AM and it was really cold. Sound trip for more than an hour while waiting for the others. When I noticed the sunlight penetrating on the tent, went out and prepared something warm. PREPARED BREAKFAST. Photo Ops. Others ascended to the summit and BREAK CAMP at 9AM. A Class picture with the new found friends. Descending on the trails of Mt. Tarak is much easy than ascending but still challenging due to its steepness. Hikers have no choice but to hold on the roots and branches to avoid injuries. 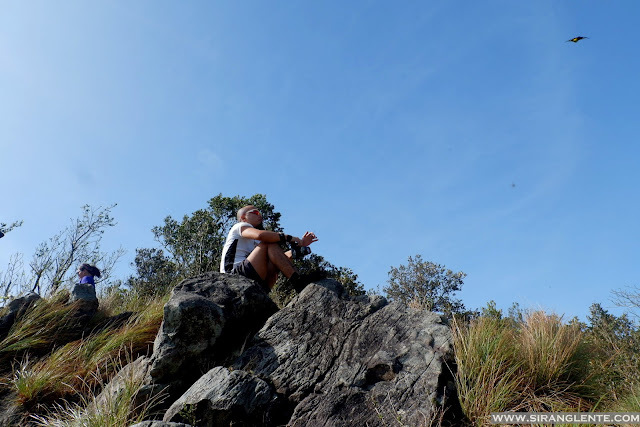 Photo above will describe what I am talking about; this is just one of the exciting part of our hike on Tarak. I forgot to mention that during this hike, there were hundred of trail runners on the trail, of course, they were running that's why they are trail runners. Since we are walking, we are trail walkers!!!!!????? Due to unavoidable circumstance (kailangan lang talagang maka-uwi agad) we regrouped; Me, Rachel and Tin proceeded while the others stayed in Papaya River for a snack. This time, we were able to meet more people, the trail runners and hikers from the other groups. Hi, Hellow, Chika Chika onti and proceed walking. We continued walking, passing Nanay Kurding's house, and the downhill cemented roads. Pinagud na talaga namin ang mga sarili namin. Bawal magpahinga hanggang wala sa highway. Pinagbawalan ko pa yung dalawang sumakay. Hahaha. Kahit ilang beses silang pumara ng trike. But, we were almost when 2 guys signed (pointing to the right turn). They look like marshals from the Barangay, so without hesitation, we followed them, turned right and straight ahead. We approached another group (in black) by the highway who helped us crossing the busy highway. Anlaki ng question marks namin sa aming mga isipan nung mga panahon iyun. Bakit kami pinaliko nang ilang beses, e ilang metro nalang nasa highway na kami. Nasagot iyun sa huling liko namin. Yung pinagdadaanan pala namin was intended for the runners - yun pala yun. Kaya hindi ko napigilan ang sarili ko at nasabi ko kay sir na naka black, na may walkie talkie, na naka-motor ang mga katagang: "Sir, pagsabihan nyo naman yung unang grupo na nagpaliko samin, magtanung kung runners o hikers. Sa laki ba naman ng mga backpacks namin, mukha ba kaming runners?" Sabay walk-out habang may gumigilid na luha sa mga mata ko at nagsasalita si Sir. No. Don't follow me and please don't talk to me. We're done!!! Gusto nyo yun??? Continued walking, passing Barangay Hall of Alas-asin and to the highway. Syempre joke lang yung walk out na part, eksena sa pelikula yung part na yun. Lunch and tidy up at the carinderia by the highway. Hiking Mt. Tarak was a great experience. Meeting new people and our journey was just magnificent. Hoping to hike this mountain in 5 years. Bus Fare: 267 pesos (Bataan Transit from Manila to Alas-asin) - Travel Time: 3-4 hours. Ok ung picture na umaakyat may ugat ng puno. Ganda ng picture dun sa river n may malalaking bato. Ganda ng picture sa dun sa river n may mlalaking bato. I think sir the actual name of the mountain is Mount Mariveles. Laki na ng pagbabago ng Tarak. Parang mas magandang mag hike kapag rainy days.